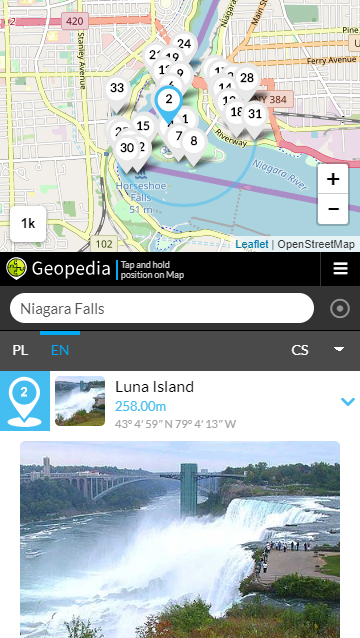 Geopedia is an informative travelling and research application to show Wikipedia articles around any location. It queries mediawiki databases in realtime and supports all major wikipedia languages. Using the Wikipedia databases ensures you won’t be spoofed by commercial places. The tool is also used by Wikipedia people to track and improve the content every day. You can easily locate your position and get the closest Wikipedia entries. 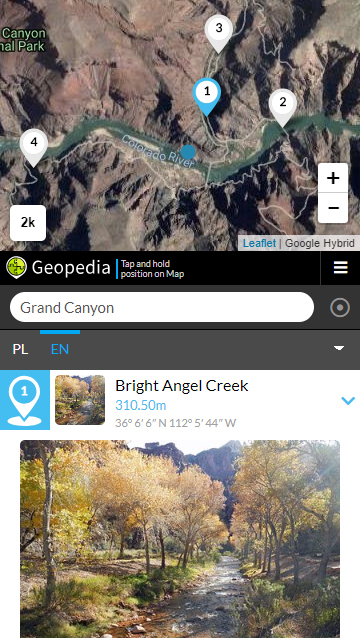 Geopedia supports auto-reading mode. You can discover the world even without looking on the phone. Depending on your needs you can choose between Open Street Map, Open Bicycle or even Satellite View. 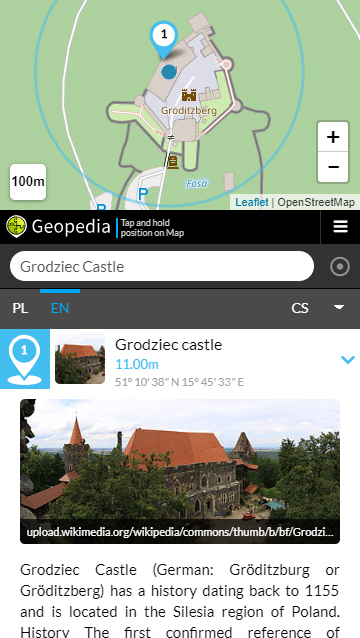 Once selected a location, Geopedia allows you to query the Wikipedia database in all major languages for this place. In addition you can also manually chose one out of more than 150 languages. 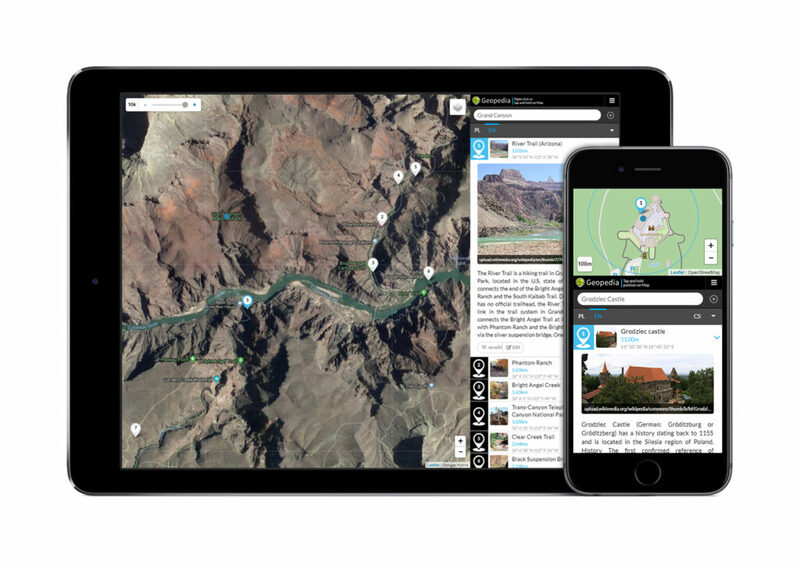 Use Geopedia to explore the globe. It can be used while traveling as well as from home to collect and study information around any location on our planet. On www.geopedia.de you can check more usefull features. 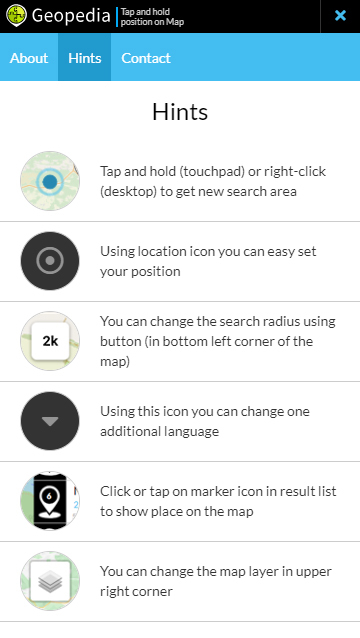 For example you can login, create own markers or share interesting places. Geopedia are using DevSecOp database mapping engine. This engine can also be used against various databases (public and private). 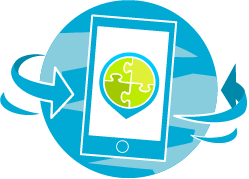 Please contact us, if you are interested in building your own platform.